Five years ago the CBI complained school leaver’s low level of literacy skills. More recently poor English skills have been cited as more damaging to business than the digital divide. Poorly structured emails, and especially long rambling ones remain the bane of many people’s lives and particularly those who pick up their emails on mobile devices and/or suffering from chronic email overload. ‘Pen your Email in Simple Language’ is the seventh commandment of our Smart Email Management charter but clearly an aspect of email etiquette which is frequently ignored. Yet it save times and reduces the potential for misunderstanding. If you do not receive a response to an email, it is often not so much because the recipient is busy but because you have written it poorly. 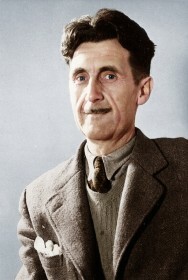 George Orwell laid out six rules for effective writing, which have served many authors. Never use a metaphor, simile, or other figure of speech, which you are used to seeing in print. Break any of these rules sooner than saying anything outright barbarous. These rules are as relevant now as when he wrote them over sixty years ago. In the digital age I add a seventh rule – start an email with a one sentence executive summary of what the email is about and what action is expected. What email etiquette tips can you offer for ensuring you send the right message right first time by penning your email in plain language?